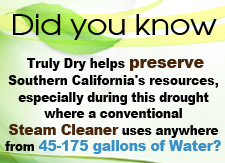 The cleaning system that TrulyDry uses is far superior to a mop and bucket system because it aggressively scrubs the floor and then vacuums up any remaining water. A mop and bucket simply pushes the dirt and contaminants around and leaves water on the floor which can be harmful to wood flooring. Our floor cleaning process includes an initial vacuuming of the areas to remove loose dirt and particles, auto scrubbing with an alkaline cleaner and then a final scrubbing with a neutral cleaner - for bamboo, laminate, or wood flooring. Edges and stairs are hand scrubbed. 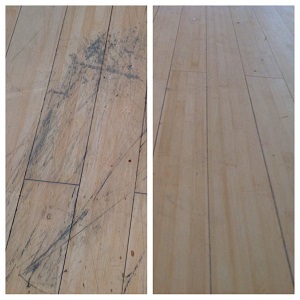 Aggressively clean and extract dirt, grease, hair, dust, built-up residue and other contaminants from hardwood floors. Aggressively clean and extract dirt, grease, hair, dust, built-up residue and other contaminants from hardwood floors. Recoat to give floors a uniform sheen of gloss or satin.